For tractor sales in Sebastian Florida look no further than the tractor sales experts at Thompson Tractor Company. Whether you’re in need of a tractor for use around your property, or you’re in need of an industrial grade tractor for agricultural or construction work, stop by to see the tractor experts at Thompson Tractor, your local Sebastian tractor sales experts. We can assist you in finding the right tractor for your needs and budget. We are certified and trained to handle all of your service and repair issues after your purchase. Our goal is always your complete satisfaction. Having the top of the line agriculture or construction equipment is important for any home or business. If you are looking for tractors, backhoes, hay equipment, utility vehicles, skid steer loaders, mini excavators or other agriculture or construction products in Sebastian Florida, look no further and call Thompson Tractor Company today. Thompson Tractor Company offers sales of new and preowned equipment, and has been serving South Florida and surrounding areas since 1994. We are a New Holland Agriculture Dealer and a New Holland Construction Dealer. 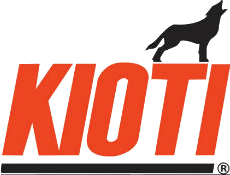 We also carry products from brands such as Kioti Tractor, Woods Equipment, Bad Boy and Odes Utvs.